Clean out your closet, you guys! This is such an amazing opportunity to do a little good this month!! 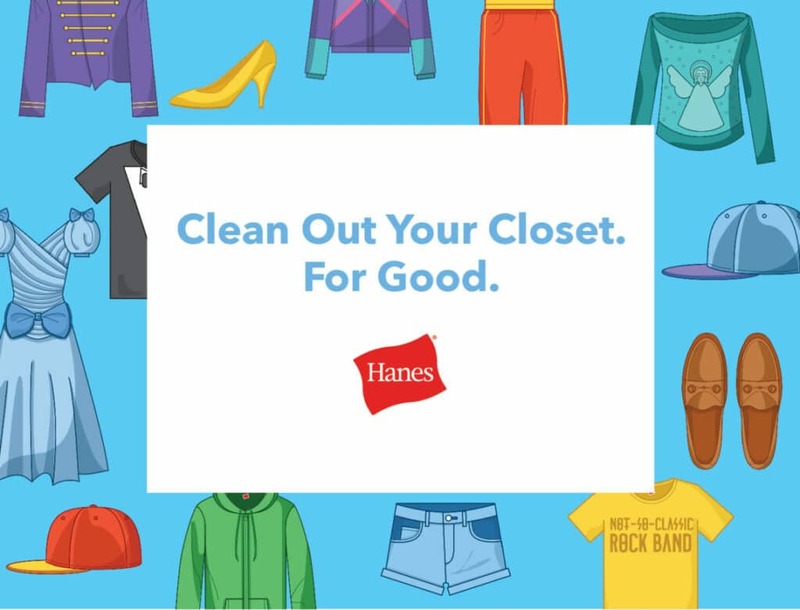 Hanes has partnered with Give Back Box® to make it easier for you to give life to your old clothes. Go through all the closets in your house and make a few bags for donation. The items will be donated to help those in need. And here is how Hanes is stepping in –> for every box of outerwear you donate to Give Back Box® when you clean out your closet, Hanes will donate new underwear (up to 1,000 packages). You know that you have a ton of extra stuff that you have been holding onto. It can’t just be me. In fact, my garage is stuffed with about 20 bags of goods that we are waiting to donate. But we haven’t found a minute to get it together. This is the perfect opportunity. I always love to see companies doing good and giving me ways to jump in and help from home! Previous Post: « Chicken And Pepper Fajitas Recipe: SO EASY!